The Office of Facilities and Operations is headed by the Executive Director, Andrew Kapocius, who also co-chairs the campus' Crisis Management Team. Included within the organization of the office are several units whose activities are central to the long-term operational success of the campus, including Campus Services, Environmental Health and Safety, Facilities Planning, Parking, Facilities Services, and University Police. 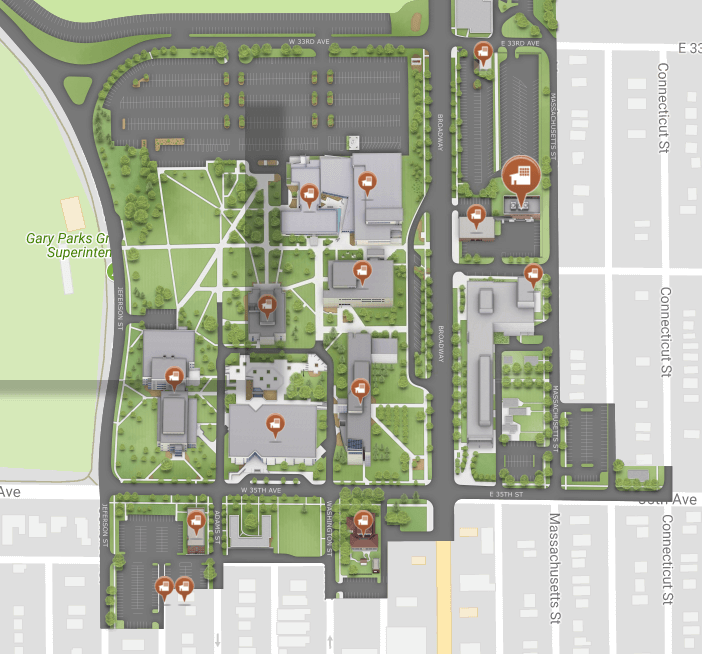 The units within the Office of Facilities and Operations seek to assist the academic units and others on campus by providing leadership and support for campus facilities planning; coordinating planning for capital construction, repairs and renovations; managing the operation and maintenance of campus facilities and grounds; developing policies and procedures and engaging in operational activities that promote campus health, safety and security, all helping to guide campus development to give physical form to IU Northwest’s mission, vision, values, and strategic priorities.